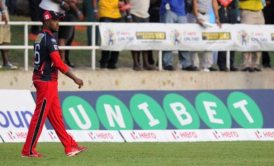 Although you’re unlikely to see the kind of brazen betting provider advertising that’s rife in football, the world of cricket does have its fair share of sponsorship deals from bookmakers. Often taking a more background role, their logos rarely appear on shirts in the same way you see in other sports. In fact, many of the agreements are with regards to TV coverage, or league sponsorship. That said, a few companies have reached out to specific teams and are building mutually beneficial arrangements with them. Let’s look at some of cricket’s biggest betting sponsorship deals. Unibet are a well-known and highly respected sportsbook in the UK. The company have been in business nearly twenty years now, and have expanded to serve over one hundred different countries. In the years since their founding in 1999, they’ve been involved in many sponsorship deals. These have included Aston Villa Football Club, The Investec Derby horse racing festival, and in the sport of darts, the Unibet Masters, Unibet Champions League of Darts, Unibet World Grand Prix and the Unibet European Championships. However, Unibet’s passion for cricket doesn’t end there. The company are cornering the broadcast market too. The 2017/18 NatWest T20 Blast series will be shown on Sky Sports with endorsement from Unibet. From a commercial standpoint, this represents a much larger deal than the individual team endorsements. The drag racing of the cricket world, T20 attracts many fans from both the UK, and around the world. Unlike football sponsorship deals, cricket players aren’t walking billboards for their partner companies. Therefore, the teams mentioned so far won’t feature the Unibet logo on their kits. However, Warwickshire’s T20 club, the Birmingham Blast, have incorporated their partner’s brand imagery into their kits. Don’t expect to see a full-chest adornment like Rugby’s Wigan Warriors’ sponsors 188 bet, or partners of Real Madrid Bwin enjoy though. So far, the clubs in business relationships with Unibet have benefited from infrastructure upgrades, and coaching assistance. In return, the global betting giant gets plenty of exposure for themselves through inground advertising, and other forms of brand promotion. An older example of betting companies sponsoring cricket comes from 2005. In the early days of internet gambling, revolutionary betting company, Betfair, originally made a name for themselves by pioneering a form of wagering on sports known as exchange betting. The premise of exchange betting is to remove the bookmaker entirely, and using advances in communication technology, the site would let users to set their own odds and instantly match them with others wishing to punt on the same market – effectively betting against amateurs as opposed to the bookmaker’s odd makers. The world’s largest online exchange put their money behind the Channel Four coverage of UK test cricket for the 2005 season. Of course, over the course of the several days required to play a full test match, there are a lot of opportunities to flash up your brand’s advertising during commercial breaks. The move without doubt represented a savvy play on behalf of the company and allowed them to cement themselves as a household name within the online bookmakers’ industry. Global betting giant Bet 365 have famously sponsored all things cricket in Australia since 2012. They’re on the board of official partners, at Cricket Australia, the sport’s national governing body down under. The organisation goes as far as to recognise various betting companies on their site, and of course, as the only sportsbook to be a full company partner, Bet365 tops their list of recommendations. The Cape Cobras, a once dominant force in South African cricket, are currently hoping to restore their former glory under the wing of their latest sponsor, World Sports Betting. The company is one of South Africa’s largest domestic betting providers, with literally thousands of markets across the sports of golf, motor sport, rugby, soccer, horse racing, and of course, cricket. Meanwhile, their newest partners, the Cape Cobras, are one of South Africa’s best-known cricket franchises and most successful cricket franchises. Since 2000, the team has produced over 20 senior international players, and until very recently were right at the pinnacle of cricket in the country. Winning a total of eight titles since 2004, they’re considered the second-best team of the past thirteen years – based on trophies. Only time will tell if the Cobras can reclaim their former glory and once again top the fiercely competitive realm of South African cricket. If the enthusiasm of both sponsor, and club are anything to go by, it looks as though their latest deal might just be what they needed to once again mount the podium’s top spot.